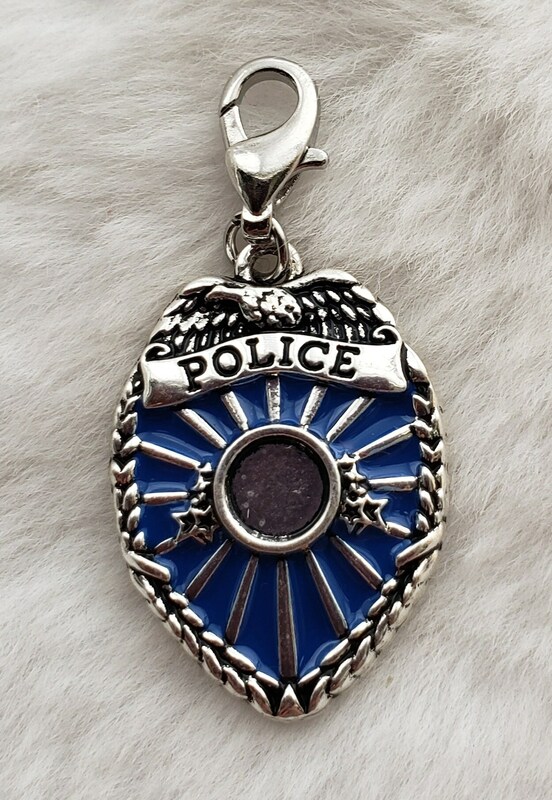 For your favorite police personnel, this charm is just great! Charm comes ready-to-wear with a 12mm lobster clasp attached. All you have to do is clip it on to your favorite chain! Or, choose "No Lobster Clasp" to receive the charm without a clasp attached. Charm is made of Tibetan silver. It is lead-free and nickel free.